In order to fulfill the ever changing demands of our esteemed clients, we are engaged in offering a qualitative range of Ceramic Backing Tape. The offered range of ceramic backing tapes is manufactured by our professionals using superior-grade raw material, procured from the reliable vendors of the market. This ceramic backing tapes is widely used in the ship building industry. Also, this tape easily 2 side welding process into single side process. With the help of our expert professionals, we have been able to offer a wide range of Ceramic Backing Strips. 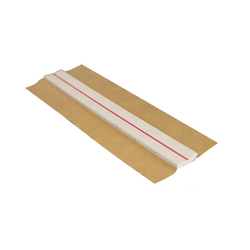 The superior-grade raw material is procured from the reliable vendors of the market to manufacture these tapes in adherence with international standards and norms. 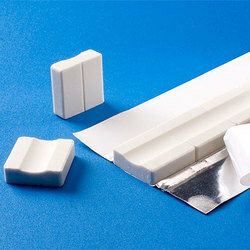 Our offered ceramic backing strips are widely demanded in ship building industry. These tapes are also checked on various parameters so as to ensure their durability and superior quality.